Even you haven’t tried it before, it is very easy to learn how to knit a triangle shawl for beginners with a free shawl knitting pattern provided by Red Heart (on the yarn label and on the website) – with a step-by-step tutorial, a FREE PDF pattern download, and very detailed video which gives you excellent guidelines on how to do it. I was glad to find it and give it a try with a Red Heart Super Saver Ombre yarn. Love those gradient changes of color from light gray to dark! As it often happens, this yarn by Red Heart captured my attention with its beautiful ombre gradient color. As you sometimes see with mandala style yarns, colors don’t change gradually but rather abruptly. That’s not the case with this yarn – working with it is a pleasure as you can enjoy these soft gradients gently defining your projects while you are knitting (or crocheting). As a passionate crafter on a quick errand to Walmart, I can’t miss the yarn isle without checking for bargains, sales, and clearance, as well as new yarns. At the store, there were several options available but my favorite was Anthracite with beautiful arrays of soft grays. On the Red Heart website, you can find 12 colors (all with ombre effect) that will satisfy any taste. Did I mention it was priced right, so it was hard to pass? So, I gave this free knitting pattern a try and here is an honest review. If you are not a fan of shawls or haven’t picked up knitting as your craft of choice, it will be perfect for an infinity scarf as well, knitted or crocheted. The yarn is a delight to work with. 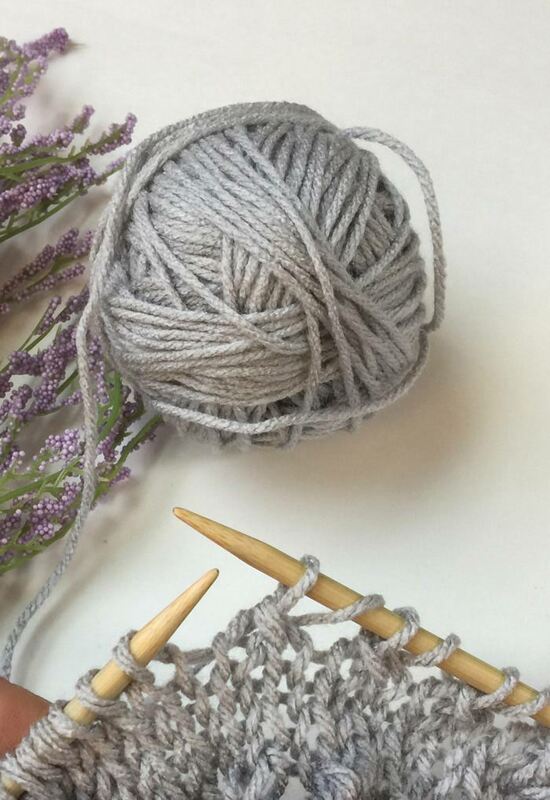 What do I love about this yarn and a free knitting pattern? It makes an excellent DIY knitting project to master your skills and create a beautiful gift for Christmas or birthday (even on a tight budget). As I already had 2 bamboo circular needles in my possession, I used them with endcaps . It seems more logical as you just knit using 2 long needles with end caps. It is a little easier, in my opinion, to work on this project and hold a large number of stitches on your needles, as your lace shawl gets bigger. I’m also a firm believer that you should make it work with materials and knitting tools you already have rather than buying new ones. Clover Point Protectors or Endcaps (to keep your work safe when you take a break) – love those nifty caps! You can use any other medium weight (4) yarn – approximately 485 yards (440 m) for this project. A tip for stitch markers: you can use those little plastic circles that are packaged with mechanical toothbrush replacement heads – as they come in different colors. It is a cute way to upcycle them for this easy shawl knitting pattern, as you definitely need to mark your center, for even increases. How to work this easy knit triangle shawl pattern? This quick and easy knit shawl is worked from the middle of the back by casting 5 stitches. 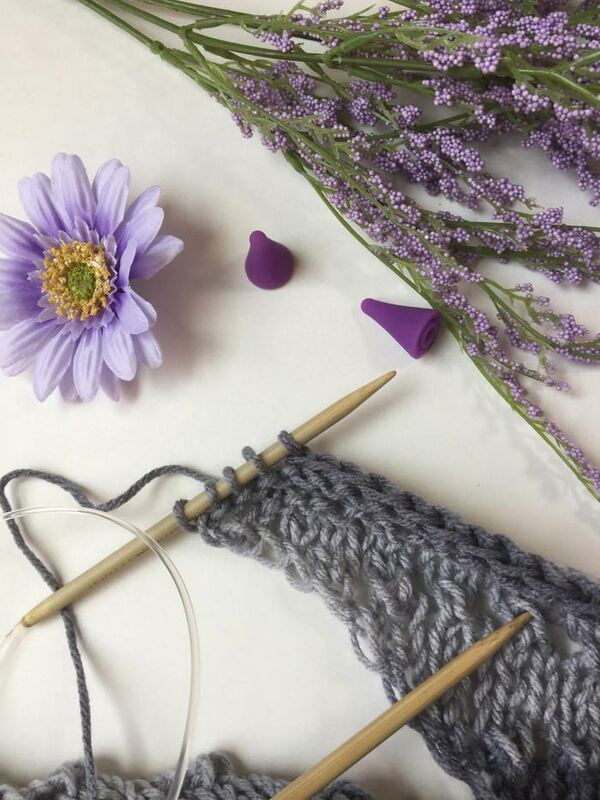 The increases happen on the right side of your knitting on both sides of the middle stitch (that marks the center line of the triangle, or ‘the spine’, as it is defined in the pattern) and both sides of your triangle. You simply do a ‘yarn over’ on the ‘right side’ of your knitting and purl that stitch on the wrong side. This way you increase evenly by 4 stitches every other row, forming a perfect triangle. How to work the lacy knitted rows? What gives this free lace shawl knitting pattern a visual interest are the rows of knitted eyelets that break the monotony of classic stockinette knitting. They are very easy: alternating yarn over and 2 stitches knitted together will create that visual effect (without an increase of stitches). 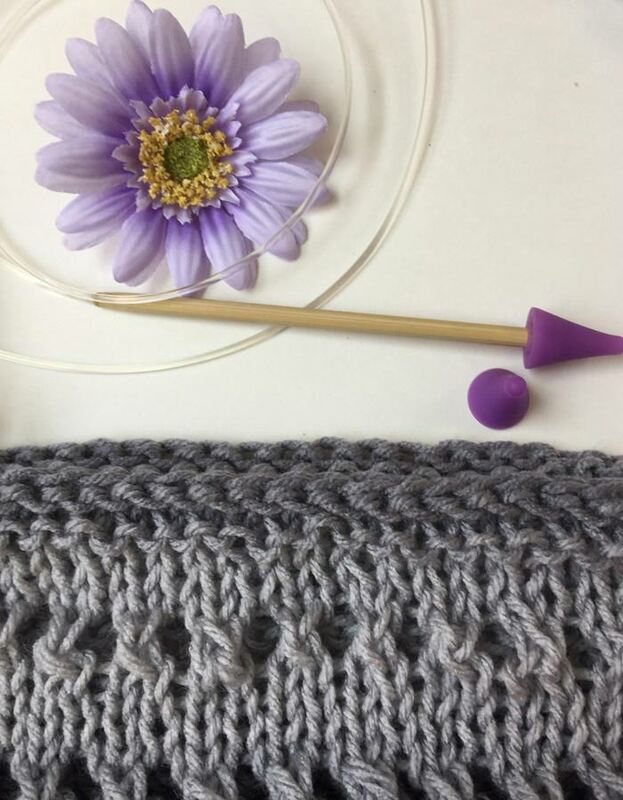 It is a little tricky, as you also have to do your normal increases in the middle and the sides of your triangular shawl, so don’t get carried away while knitting the lace row and pay attention at the beginning, in the middle, and at the end of the row. You’ll be able to master this free easy shawl knitting pattern at no time! Excellent tutorial! 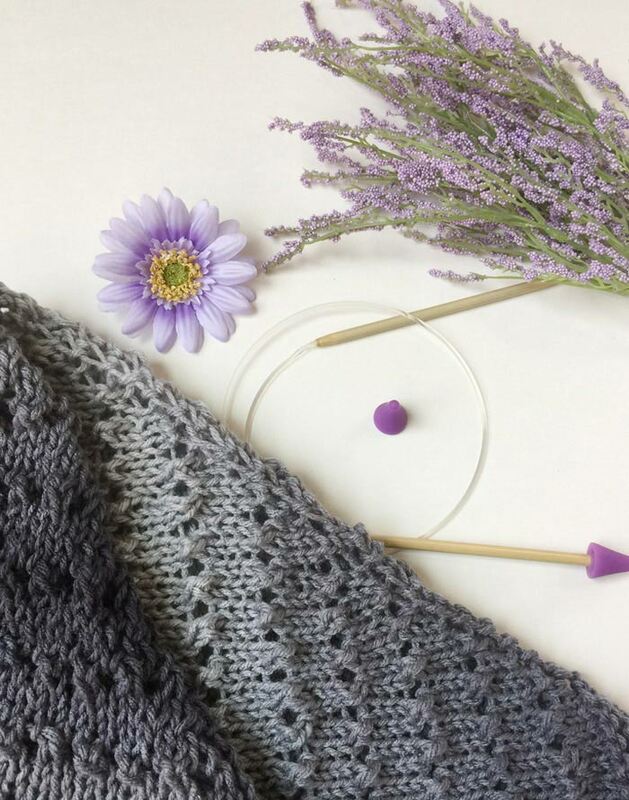 What are the measurements of the finished knitted shawl triangle? According to the pattern, the finished shawl measures 72″ (183 cm) at the widest point and 24″ (61 cm) at the longest (in the middle). How to avoid mistakes while knitting this easy shawl pattern? Make a sample swatch after watching the video. I would suggest making a little sample swatch so you can really understand the architecture of this shawl and master the increases. At that point, you can also decide if you really like how this free shawl knitting pattern turns out. Make sure your knitting is not too tight as it will mess up the shawl edges. 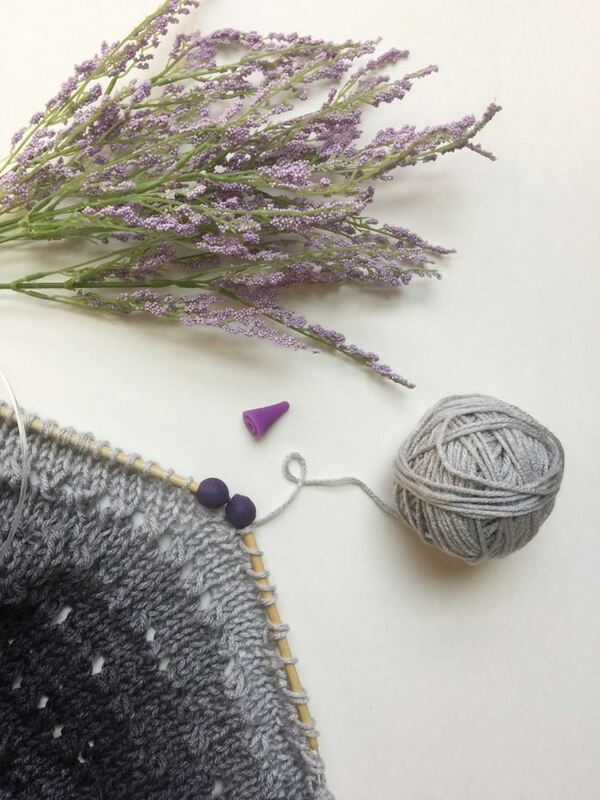 Practice the lace rows before you start your garment as it will ensure you don’t make any mistakes in the middle of your work (a few little unnoticeable mistakes are OK as they make your work really handmade vs machine-knitted). 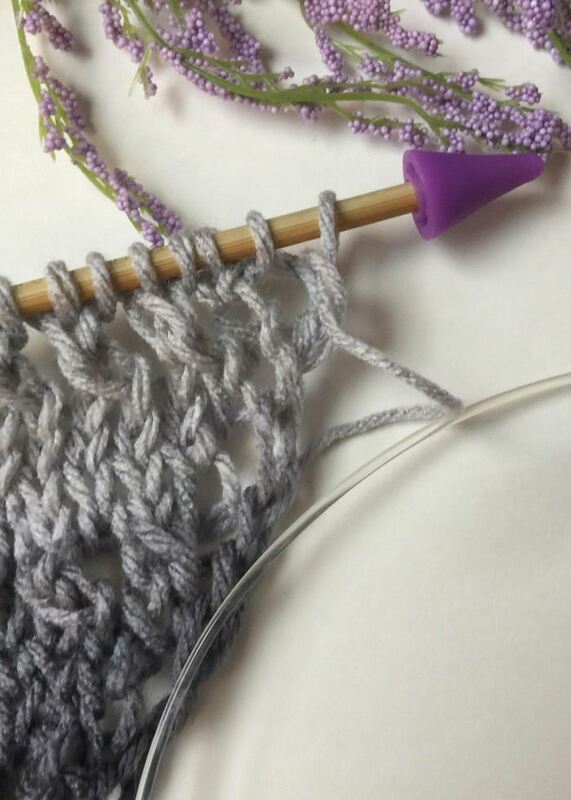 Start binding off when you still have enough yarn left. I made a mistake of ‘cutting it too close’ and I was afraid to run out of yarn before finishing my project! It is better to have a smaller shawl and a bigger yarn ball left than undoing already knitted rows so you have enough yarn to bind off your triangular shawl. Don’t forget to add a few garter stitches at the end – otherwise, your shawl edges may curl. How can you modify the pattern? If you’d rather make a knitted shawl wrap, you can just decide on its desired width and knit it straight, without any increases. The same pattern of alternating lace and stockinette stitches will work beautifully and you can bind off when you almost are out of yarn. Would you recommend this pattern to a friend? I really enjoyed this free shawl knitting pattern and nice ombre stripes of the finished shawl though I wish the yarn was a little softer. It is a great knitted prayer shawl pattern. I’m definitely recommending this easy shawl knitting pattern and Red Heart ombre yarn deserves a try for your next project. It knits easily and beautifully and you can create a classic triangular knitted shawl to keep your shoulders warm during chilly fall and winter nights.